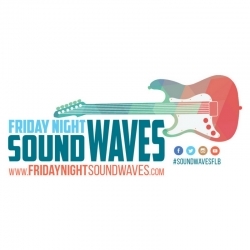 Fort Lauderdale, FL, February 21, 2018 --(PR.com)-- Fort Lauderdale continues to prove itself as one of South Florida’s top music destinations with the release of the 2018 Friday Night Sound Waves artist lineup. Filling the gap between the area’s largest music festivals, Tortuga Music Festival in April and Riptide Music Festival in December, the 8-month long series brings together a community of locals and visitors from around the globe, every Friday night. Now in its 3rd year, the free concert series, which takes place steps from the sand and under swaying palm leaves, returns to their home on March 16, 2018 at 6:00 pm, at the self-proclaimed “Fort Lauderdale Beach Hub,” at Las Olas Boulevard and A1A.